The savviest of Filipinos strive to make the most of every peso that leaves their hands. Like in the fast-food, for instance. To the uninitiated, the menu is exactly what it is: a set of meals readily available to be served on your tray. But with the use of basic arithmetic skills, an eye for detail, and immense hunger, you can hack the menu of fast-food chains. Below are some examples proven and tested by foodie slash budget masters off the internet. 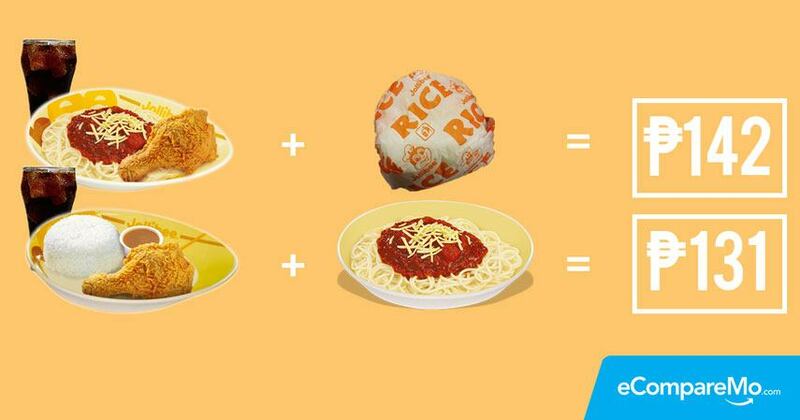 Facebook user Noel Ang, an accountant by profession according to his profile, shared a similar formula for keeping your spending to langhap sarap levels. Not only do you save a whopping P10 (a big deal if you’re a commuter), you get a discount on calories, too. The Double Whopper contains 850 calories, while two Whopper Jrs. only have 720 calories. FHM Philippines tips that customers “can get essentially the same amount of toppings and satisfaction and twice the amount of buns.” In doing so, you can save P50, which can either go to your savings or be used to buy an iced tea. Why go gaga over Giga? Facebook user Gel Tolentino posted a price-per-gram comparison to reveal the most sulit option from your favorite potato stand. His data revealed that Potato Corner Giga Fries provides the most value for fries fanatics. Regular Choco Butternut Donut is at P35, while a five-piece Choco Butternut Munchkin goes for the same price. But which one offers the better value? Well, this one’s not really a hack, but more like an FYI. French-Asian fusion bakery and patisserie Tous les Jours sells their breads at 50% off when the clock strikes 8:30 p.m. on weekdays. Just in time when you’re on your way home from work! Is your wallet more starving than your stomach? At McDonald’s, you get more bread, more cheese, and more beef when you go for two Cheeseburger solos.